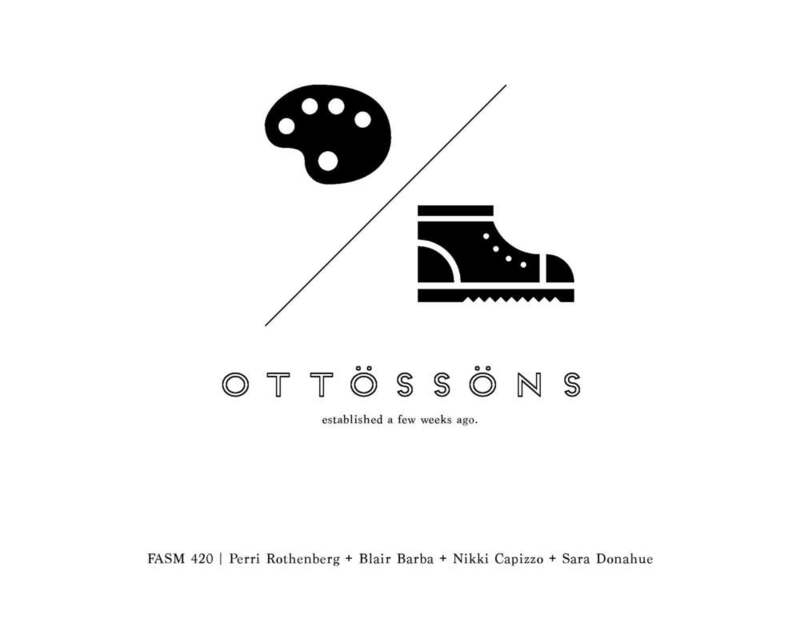 Ottössöns is a swedish footwear concept designed by a collaborative group of four SCAD students for a Global Sourcing class. 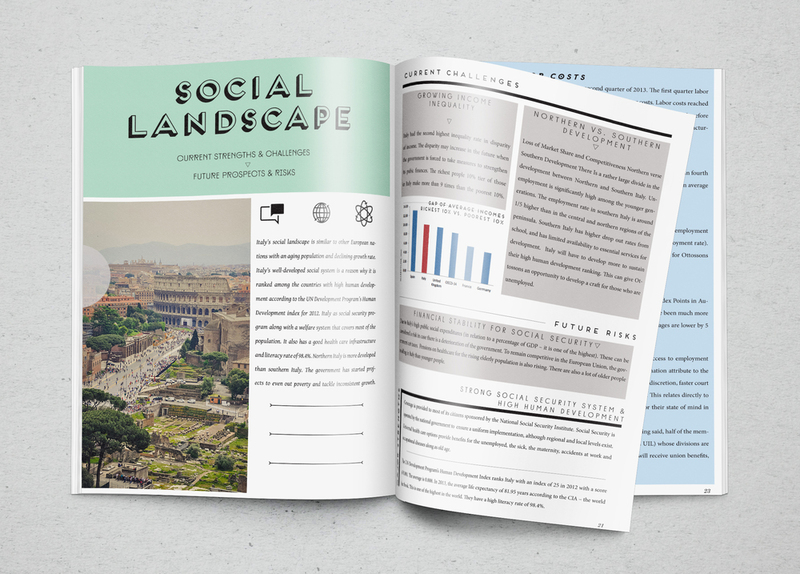 The goal was to create a company and global sourcing strategy that best exemplifies the brands overall aesthetic and target market. 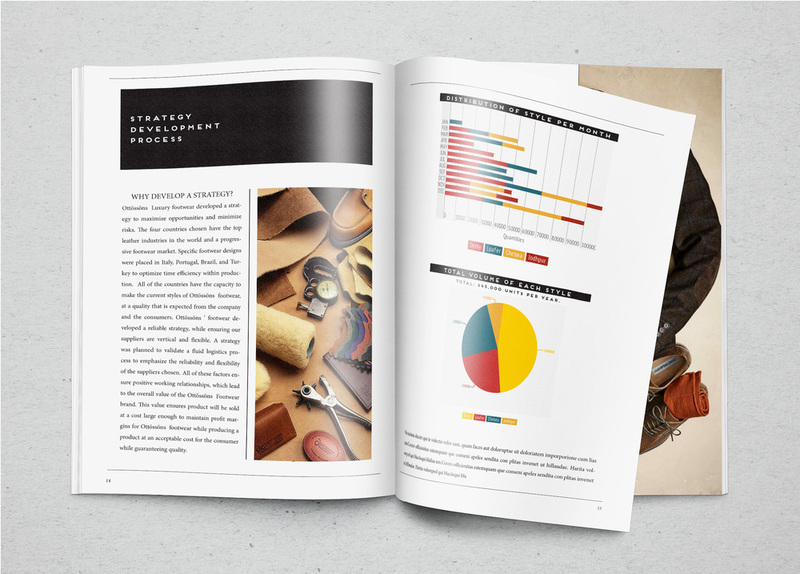 This document is the detailed and extensive guideline in which Ottössöns will conduct their first year of their sourcing strategy. 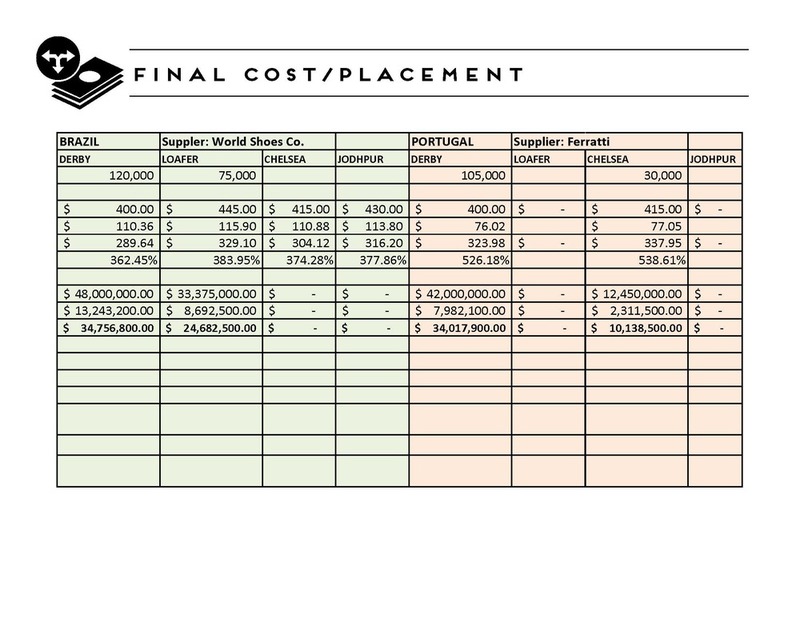 It includes the preliminary and finalized cost structure based off of potential suppliers and manufacturers from the chosen countries of origin which include Italy, Portugal, Brazil and Turkey. Although Turkey offers strong potential, Ottössöns felt as though they would feel more content in investing time in the other countries due to product requirements, and outweighed risks verses potential benefits. 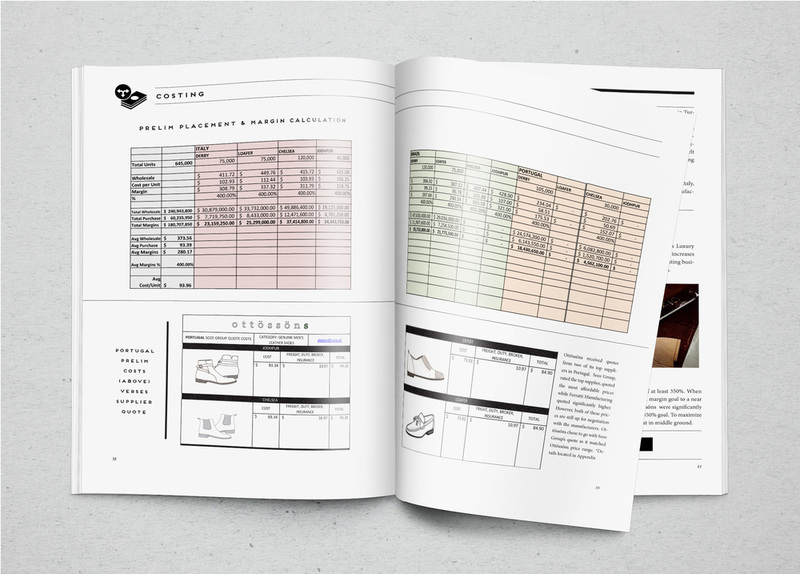 This document ensures that the Ottössöns brand will optimize business opportunity in the luxury footwear sector by optimizing margin potential while minimizing their risks while maintaining value alignment and opportunity for extensive growth. 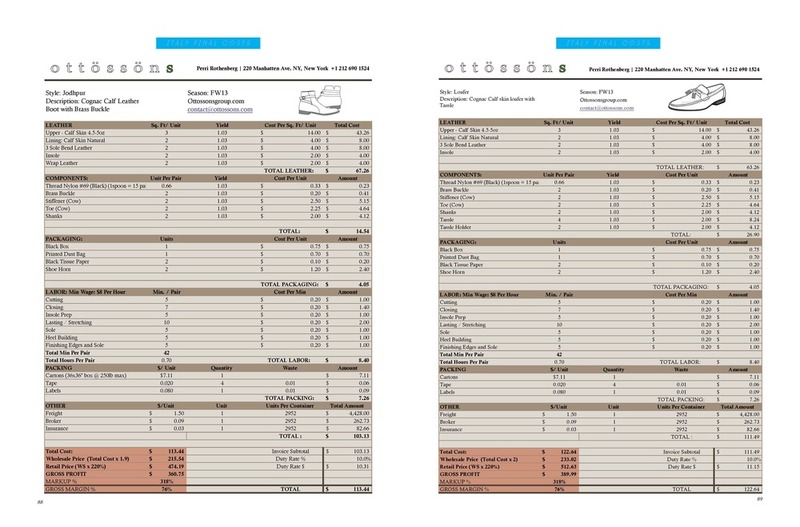 By analyzing each country, and chosen sources along with their viability to accommodate volumes, production quality, efficient lead time and pricing requirements Ottössöns was able to finalize a strategy based off of these factors. 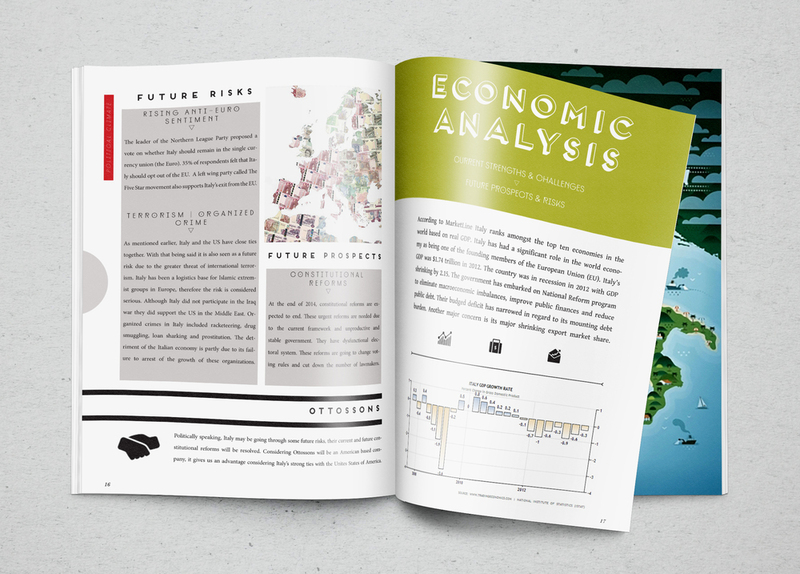 Covers for final report. 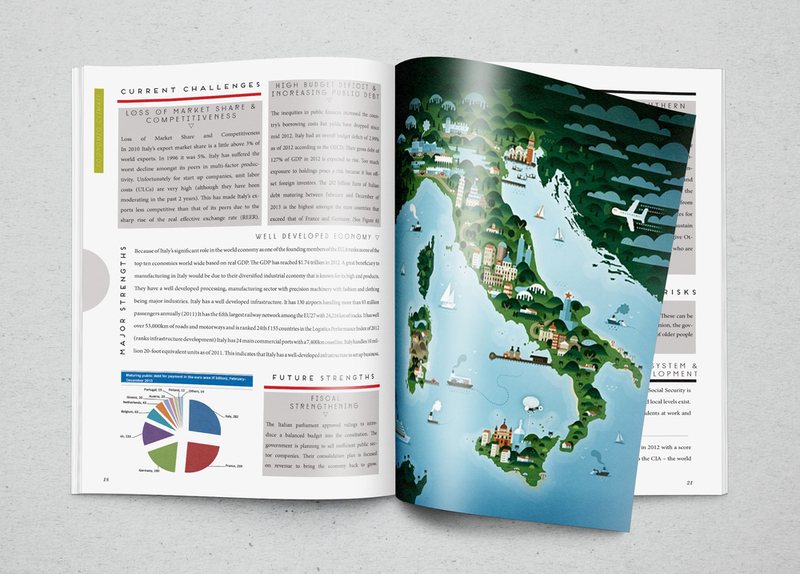 Left: Ottossons Global Sourcing Strategy, Right: Italy Country Report. 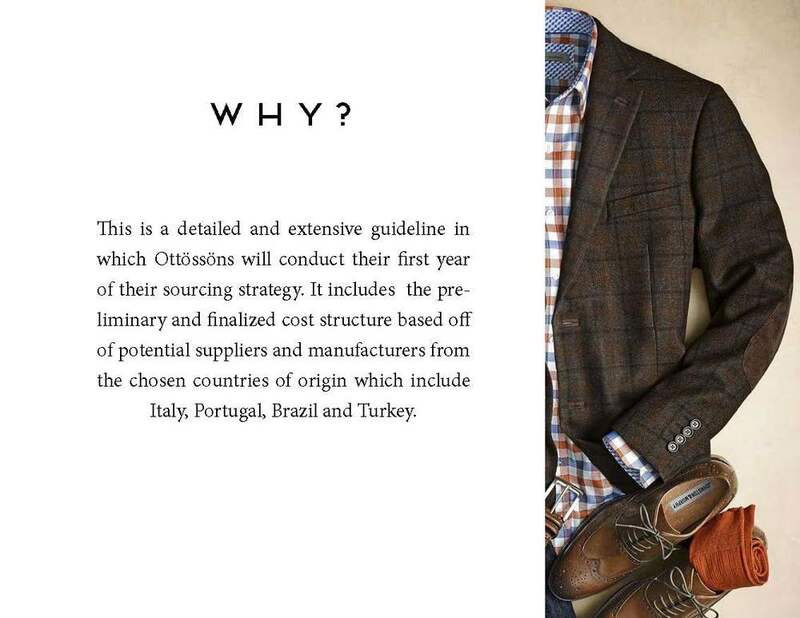 With the purpose of determining decisions on whether manufacturing Ottossons’ shoes in Italy would be beneficial to the overall purpose of this company’s strategy, it is important to understand certain aspects of a culture before taking the plunge across the pond. First, understanding Italy as a political, social and economical entity in relations to its history along with future risks and challenges are outlined. This gives our company a greater understanding of any turmoil that can sabotage future business deals. This includes Italy’s labor force and laws which is saturated by unions yet has a high unemployment rate which is seen as a benefit to our company considering opportunities for social growth. Trade agreements and laws are then outlined specific to Italy, along with the United States that could affect the importation or exportation of our product. Currently, the most important trade agreement to keep eye on is the Trans Atlantic Trade and Investment Relationship between the US and EU which will drop most tariffs between the two entities. 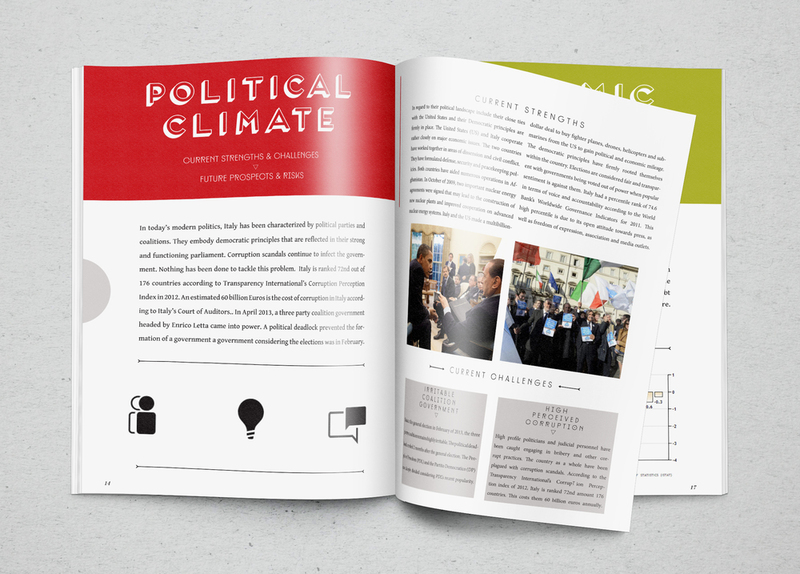 Next, we research how to effectively conduct business in Italy. 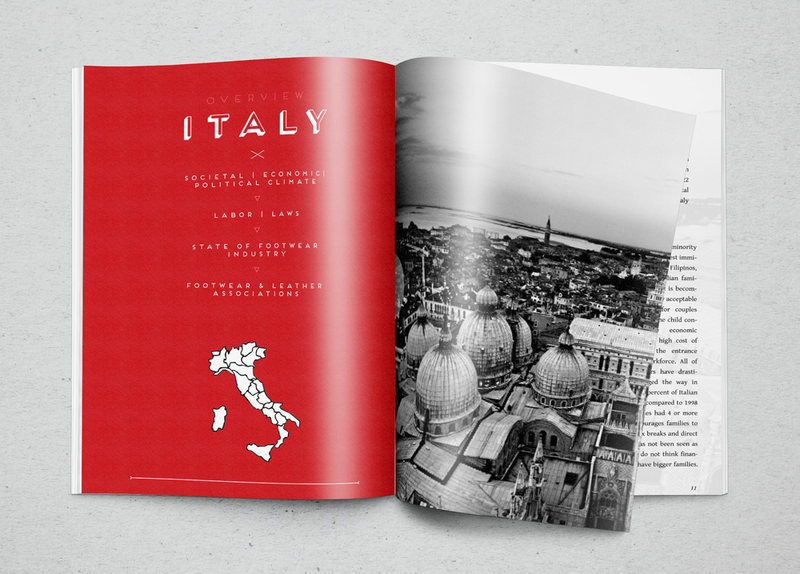 Understanding how their culture works in terms of importance of appearance, greetings, dining and entertaining are all vital to building long lasting relationships with the Italian Culture. Next, we analyze how Ottossons sourcing guidelines align with specific manufacturers for potential deals. Our strategies must be coherent with the evaluation of production. Since globalization, Italy’s component and labour costs have risen and have also been considered the most expensive in the EU. The estimated cost to produce the Jodhpur Boot is $103.25. The Manufacturing cost is then doubled, with a retail price of $450, and 70% profit margins. We then classify our product under the HTS code (10% duty), and layout the logistics for importation. By shipping products from Genoa, Italy to the United States via Boat is the most cost efficient way for transportation. It will take 28 days and 1 hour from factory to retail space with the specific freight company chosen for manufacturing products in Italy. All of the exporting requirements for importing into the United States of America are included to make sure Ottossons has a transparent experience without any chance of liquidation, or any extra fees. When evaluating the criteria for the products of Ottössöns , suppliers needed to be vertical and have the capability of fulfilling the capacity requirements of 645,000 units annually, between three countries. 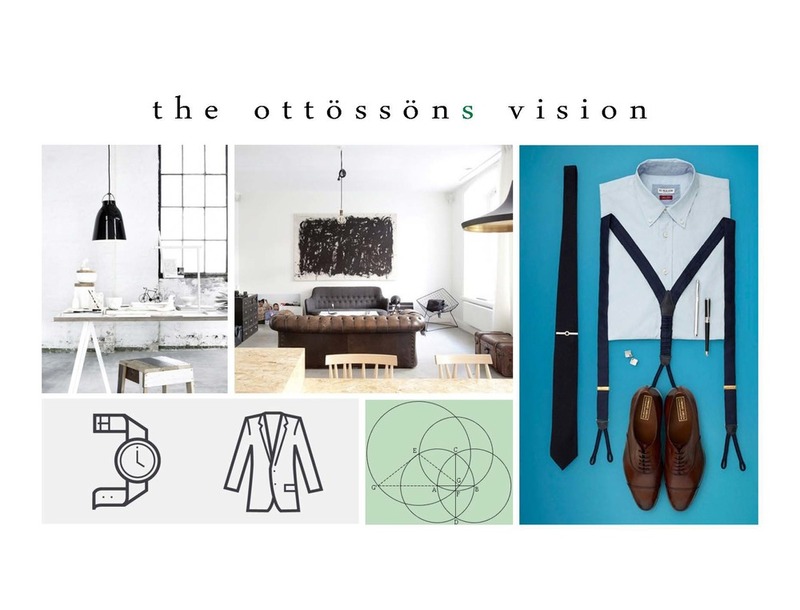 Since Ottössöns is a high fashion luxury retailer, not mass- market, the total number of units produced per year is 645,000. 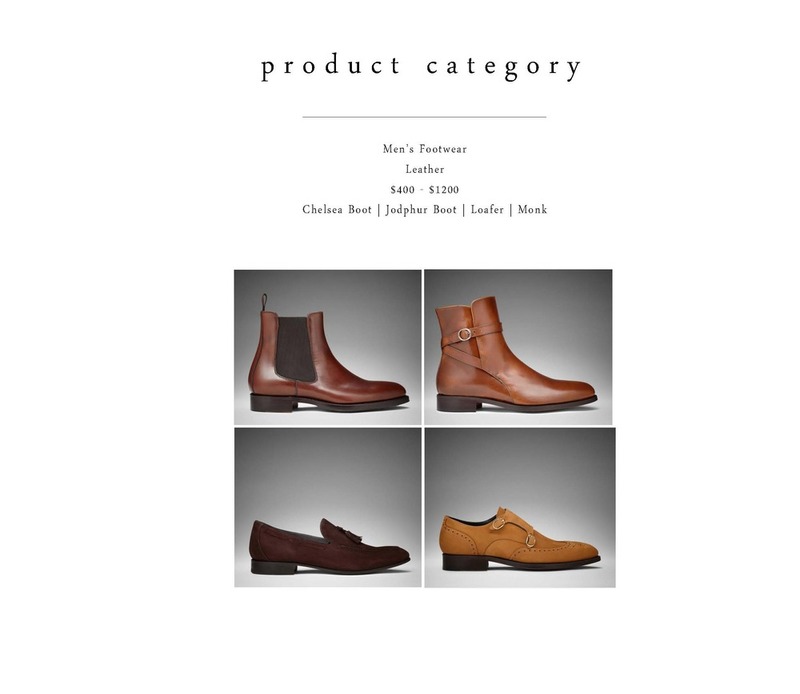 Four styles will be manufactured, the Jodhper, Derby, Chelsea boot, and loafer. Products are primarily being placed in Q3, because after extensive market research, Ottössöns ’ feels as though the products offered are transitional pieces best suited for those leaving summer and entering fall. The derby is going to be produced with continuous flow, manufacturing 300,000 units per year, as it is a classic style to be worn year round. 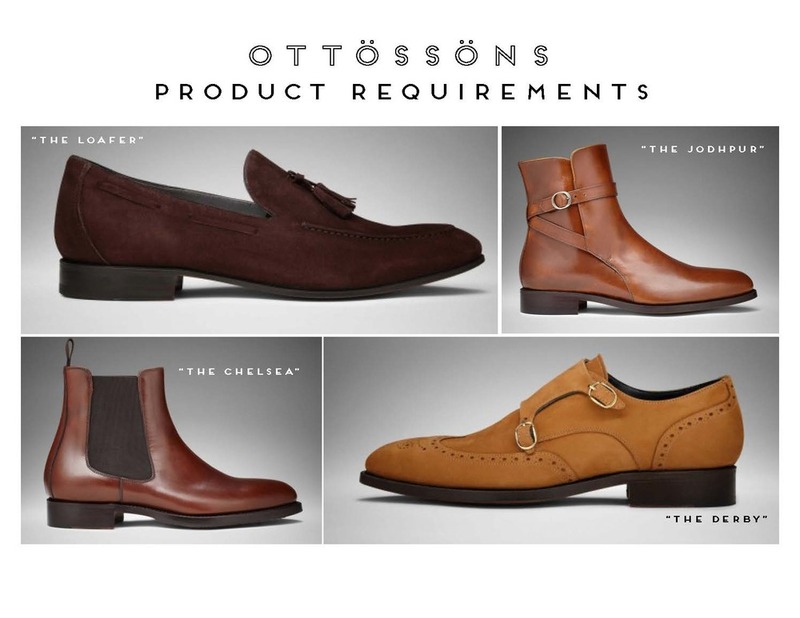 Ottössöns will be producing 150,000 units of the Chelsea boot per year. A majority of the Chelsea boot order will be placed in September and December, as this is a premiere back to school style and gift for the Holidays. Ottössöns will also be placing an order of 150,000 units for the loafer. 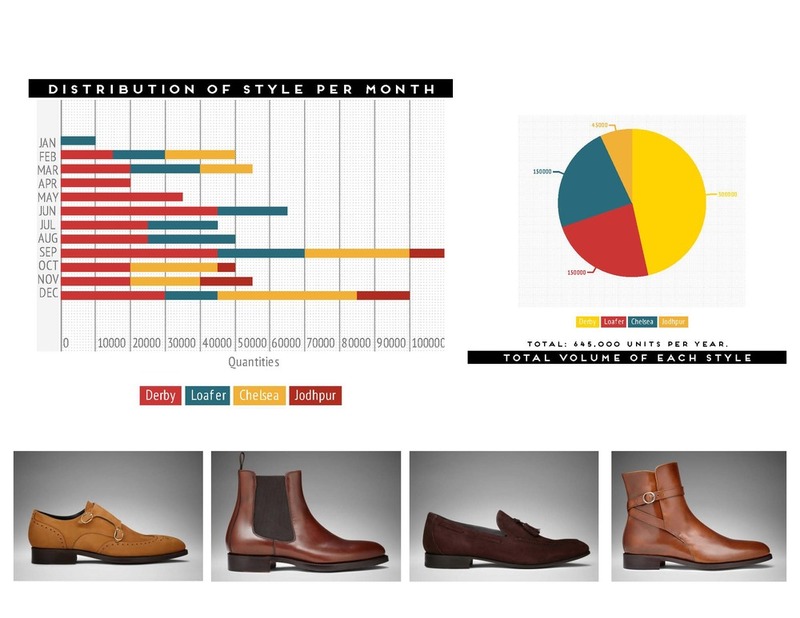 The distribution of the loafer will be inverse to that of the Chelsea boot, as it is of popular demand for spring and summer. The jodhpur boot is a season style and 45,000 units will be placed for distribution of the Holiday season. Note: If the Jodhpur is profitable during this time, plans to place additional units for the following year will be considered. 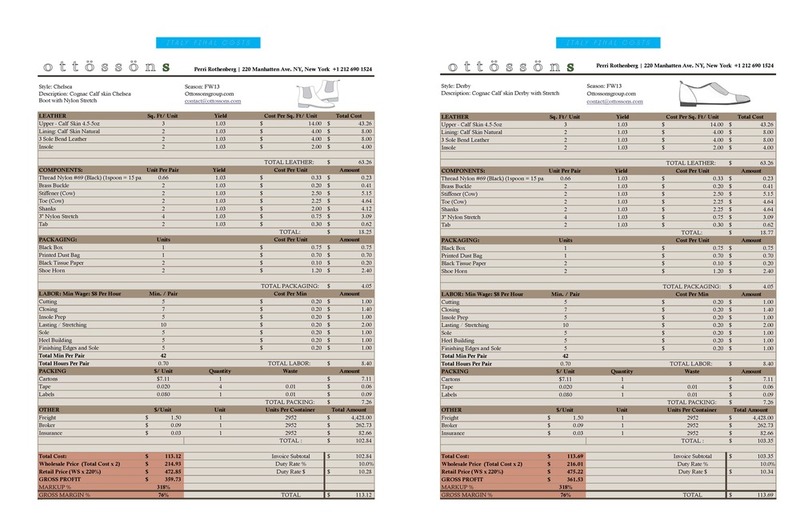 Evaluated prelim costs vs initial quotes and product qualities / tech-pack. 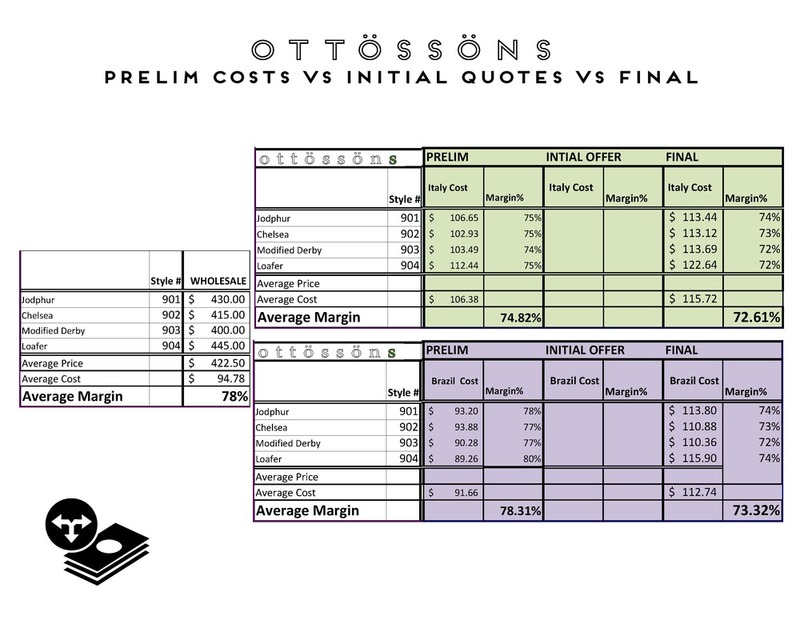 Through Ottössöns ’ research, the following preliminary costs sheets, by country, are the ideal manufacturing costs of production that generate a sufficient profit margin. 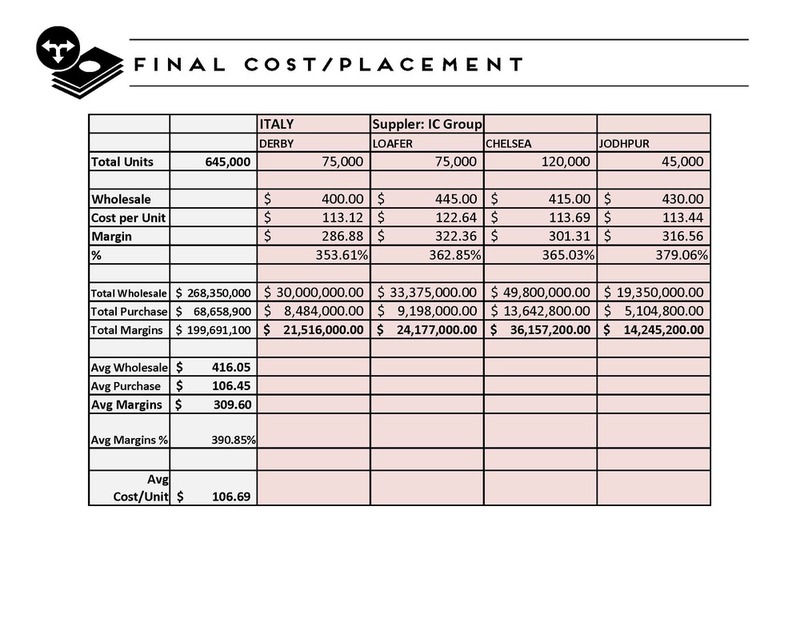 These costs are then compared to the initial costs/quotes received by potential manufacturers along with the final negotiated prices of each product per country. At this time, Portugal is the only country that has supplied Ottössöns with manufacturing quotes. In conclusion, Ottosssons’ decided to choose a sourcing strategy that would be beneficial, both long term and short term for the company. By maximizing opportunities, Ottössöns ’ was able to minimize the potential risk associated with the individual countries chosen. Ottössöns ’ focused on mitigating risks by evaluating potential countries and suppliers by their quality assurance, the transparency of their manufacturing process, and their willingness to build lasting business relationship. In evaluating quality assurance, Ottössöns ’ sought out manufactures that met the company’s quality standards. 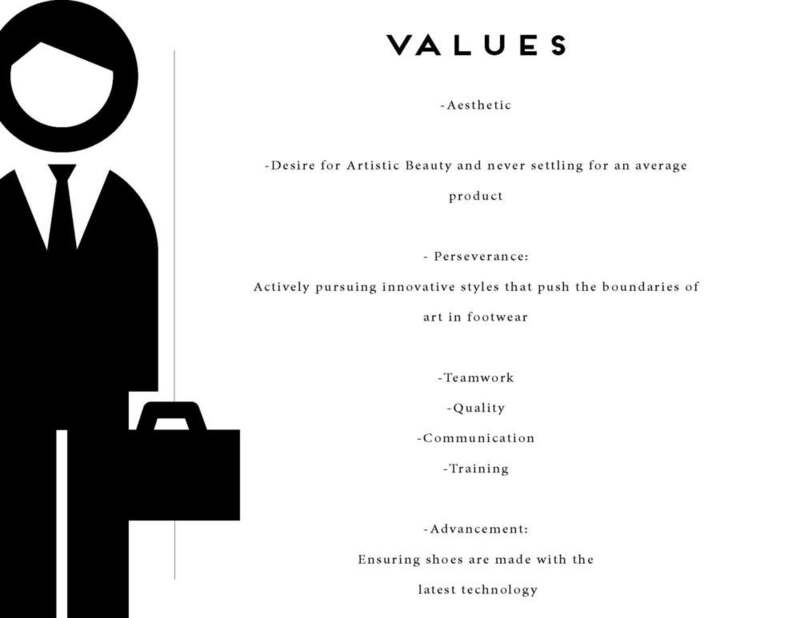 Standards included, the use of fine leather, sourced humanely and sustainably, and the use of fine craftsmanship in the production of the shoe. Italy, Brazil, and Portugal provided manufactures that met these standards, while also meetings standards of facility transparency and the want to maintain strong relationships with Ottössöns . Ottössöns ’ mitigated their potential risks, by eliminating Turkey as a potential partner in manufacturing their product. Turkey did not meet the standards that Ottössöns ’ looked for with in a business climate, due to their lack of economic and political stability. Dividing the product placement in Italy, Brazil, and Portugal also provided risk management. By producing in all three countries, Ottössöns can ensure that all product requests can be filled, if one of the three countries’ selected is unable to do so. 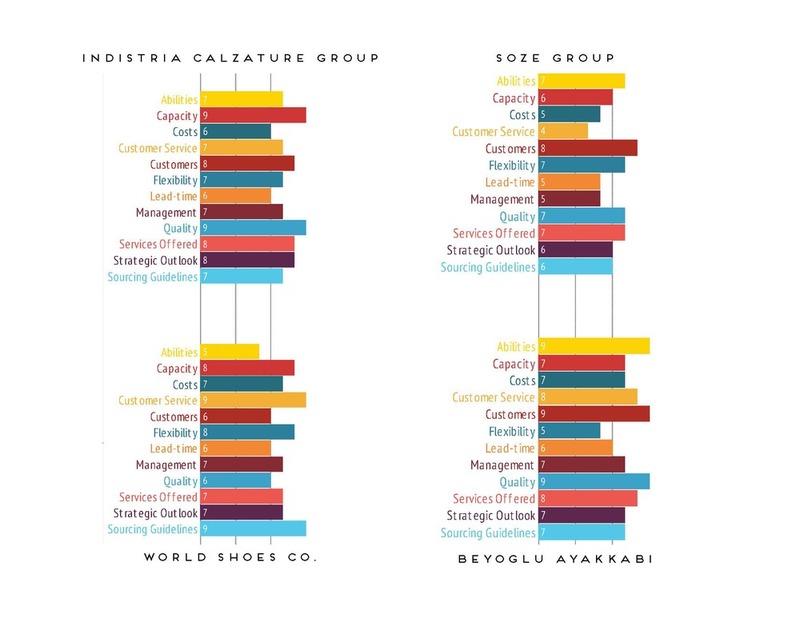 48% of Ottosson’s product assortment was placed in Italy, because the manufacturer chosen, Indistria Italiana Calzature Group, ensures lasting relationships due to the generations of services provided. Their made in Italy quality will ensure customers that the product of Ottössöns is made with a guarantee of Italian craftsmanship. 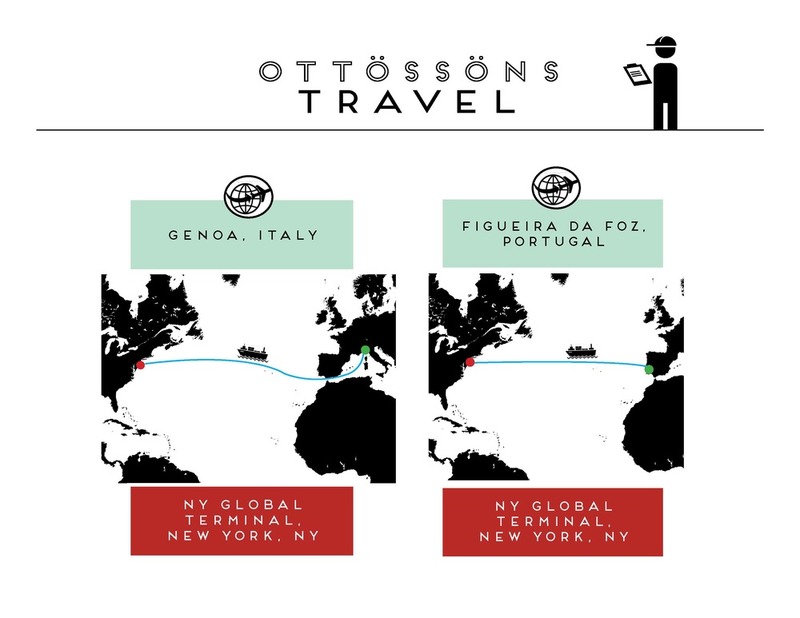 30% of Ottössöns ’ product placement was placed in Brazil, with Shoes Export e Import Ltda. (World Shoes Co.), due to their extensive market opportunity for the footwear industry and their low costs on labor. The remaining 21% of product was placed in Portugal, with Soze Group. Portugal’s manufacturing services offer great flexibility and strong technological advances. Portugal fills Ottössöns ’ request for innovative manufacturing, at a price in alignment with the company’s profit margin goals. 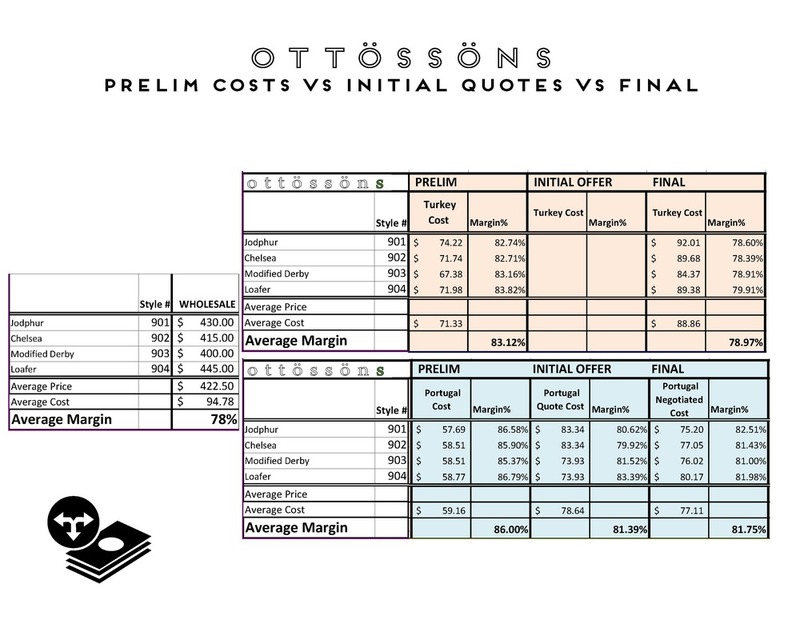 Margins for Ottössöns ’ meet a 350-400% profit in all selected countries. This mark up ensures that profit margins can be maintained for a successful business strategy, allowing for future growth and opportunity amongst the growing luxury market in the United States. Lead-times for quality crafted leather shoes take extensively longer than that of the average product; therefore, Ottössöns ’ created a business plan allowing for lead-times of 8-12 weeks, to ensure fulfillment of requested orders and the satisfaction of product quality. The order being placed for the upcoming fiscal year is 645,000 units, a common order size for the luxury goods market. The current inventory order was selected based upon current market opportunity and demand, both in the United States and internationally. Furthermore, Ottössöns plans for significant growth in the future, where orders placed will include larger quantities and lower initial costs. This is due to the established business relationships built and the company’s ability to negotiate lower prices after the first year of manufacturing. Lead-times also have the opportunity of being reduced after product placement is established within the production and facilities. Value added services, such as in-house tanneries, provide a convenience for Ottössöns with a completely vertical manufacturing process. 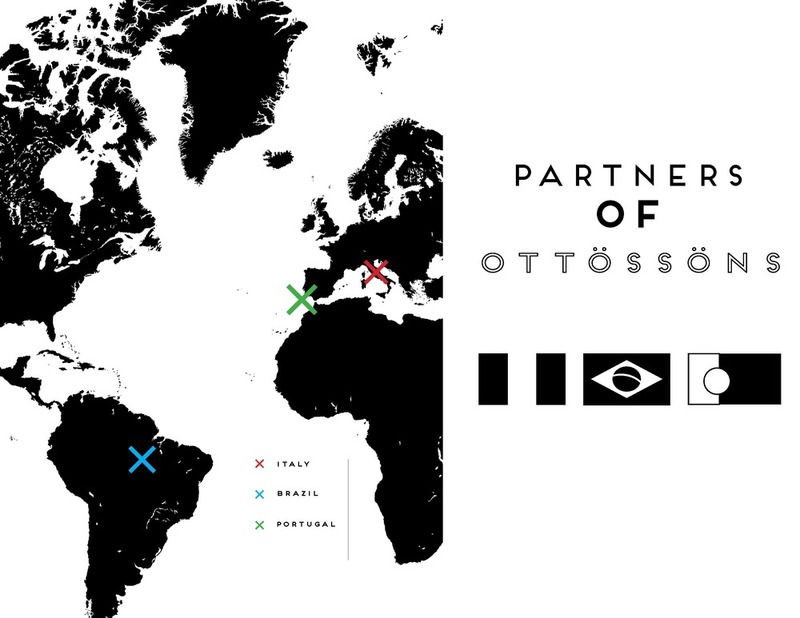 The selected countries, Italy, Brazil, and Portugal, allow for sufficient company growth within the individual manufacturing processes of each country; allowing for Ottössöns to develop themselves in to an internationally recognized luxury footwear brand. Ottössöns is proud to have their footwear manufactured and produced within these countries, as they meet all of the company-required guidelines and stand within the top leather manufactures of the world. 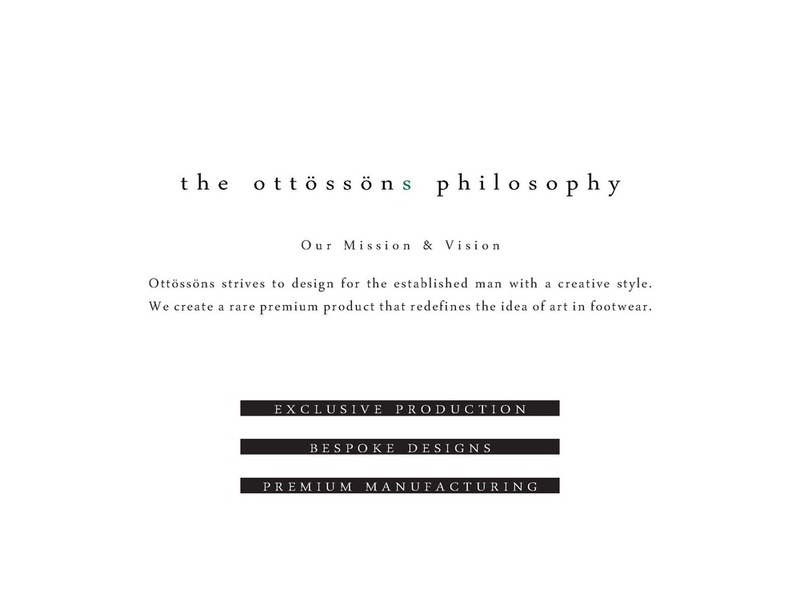 Ottössöns strives to create a product that is designed for the creative man, and feels as though they can accomplish this with their selected manufacturing countries of Italy, Brazil, and Portugal.